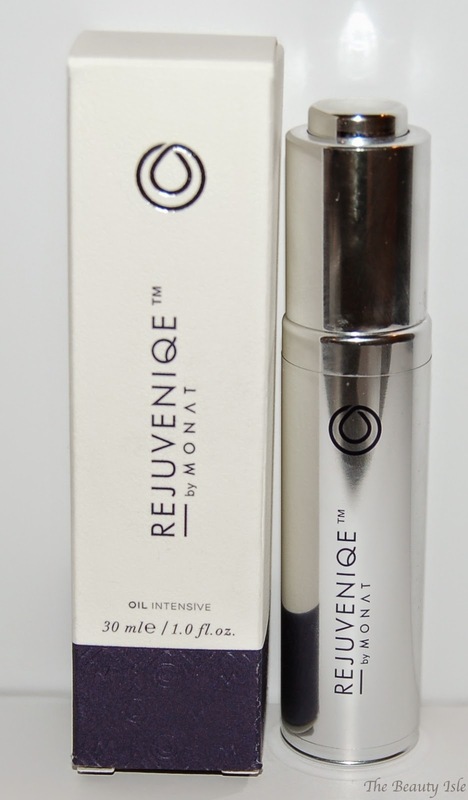 Today I'll be discussing a new hair and skin serum called Rejuveniqe Oil Intensive by Monat. From Monat: REJUVENIQE™ OIL INTENSIVE nourishes and energizes the scalp with an invigorating blend of 11+ unique molecular ingredients- including vitamins, minerals, antioxidants, beta-carotene and omega-6 fatty acids- that mimic the body’s natural oils. The proprietary formula reduces hair thinning, prevents oxidative stress and adds incredible volume, repairing the hair with instantly visible, long-lasting shine without the damaging effects of silicone. This product comes in a luxurious silver bottle with a dropper so you can dispense the exact amount you need. This product has a lemon scent. Personally, I prefer that lemon scents be reserved for cleaning products so I don't like it when my beauty products have this scent. Luckily for me though, the scent doesn't last in the hair. For reference my hair is long, halfway down my back, and very dry and frizzy. I apply this to my towel dried hair and either blow dry it or let it air-dry. I wouldn't recommend applying this serum to dry hair since it is really easy to over-apply this and get a very oily look. Even when I apply this to my wet hair, I use a VERY small amount, just a few drops. When I apply the correct amount, this product does a fantastic job of keeping my hair frizz-free and looking healthy with lots of shine. It doesn't weigh my hair down at all and feels super soft to the touch. Overall, I really like the Rejuveniqe Oil Intensive! You may buy it on the Monat website for $99. This is definitely a luxury item but if used correctly it can really make your hair look fantastic and can be worth the price, especially since you need such a small amount! What is your favorite haircare product? *Disclaimer: I received this product for review, however all statements are 100% honest and my own.